Down to earth – “both feet on the ground”. For Chinese, the world we live in is all there is. The Chinese are both practical and pragmatic, which includes the ability to live with contradictions, enables China to accept the handover of Hong Kong with the principle of “one country, two (incompatible) systems“? Or that China regards Taiwan as a renegade province, yet bilateral trade between them is nearly double that of China with India and half that between China and the US; and Taiwanese FDI: foreign direct investment in China is only exceeded by that of US and Japan. 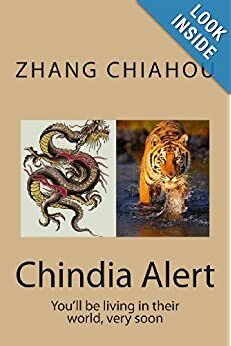 As a Chinese living in a Chinese community in Calcutta, I saw the practical attitude of the Chinese. In the 50s, imported British chocolates in tins were an expensive luxury item. But for ‘face’ sake you had to give this kind of present to people you visited. However, the receiver would not open the tin and ‘waste’ it. Rather she would keep it as a present for a later visit. My Mum (and her Chinese lady friends) would keep a note of which expensive presents she had received from which of her friends, so she did not commit the ultimate faux pas of giving that very same gift back on her revisit! Chinese materialism is self-evident in the way Taiwan first and then China – once the barriers were lifted – became world leaders in all kinds of industries. It is also evident on the Mainland where despite legislation and central government efforts to curb pollution often by illegal industrial firms, local authorities look the other way in order to encourage production and expand the local economy and so of the 20 most seriously polluted cities in the world, 16 are found in China. 70% of Chinese rivers are polluted to some degree. Chinese down to earth (unpretentious or affected; straightforward) style is evident in the way Chinese live away from the main urban centres. But even in ‘sophisticated’ Hong Kong, Shanghai and Beijing, Chinese (whose metabolism doesn’t really gel with alcohol), will dilute expensive wine and cognac with coca cola without regard of how it would look to westerners. 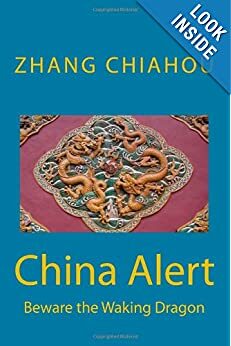 One of the best books on Chinese culture sprinkled with bits of relevant history and economics can be found in China Road by Rob Gifford a journalist who lived in China for many years and speaks fluent Mandarin. His book is about a 3.000 mile journey he made from Shanghai to Urumqi, the capital of Xinjiang, much in the news in the summer of 2009 with unrest amongst the Uyghur Muslim minority, just before moving back to the West. Finally, it will be grossly incomplete not to say that the Chinese mentality has historically been influenced by The Four Books. The Four Books refer to The Analects of Confucius (Lùn Yǔ), The Mencius (Mèng Zǐ), The Great Learning (Dà Xué) and The Doctrine of the Golden Mean (Zhōng Yóng). The first two are collections of sayings and teachings of Confucius and Mencius as well as sayings of their disciples while the latter two are chapters in The Classic of Rites (Lǐ Jì). Chu Hsi, a famous scholar of the Southern Song Dynasty, held that The Four Books together outlined the basic system of Confucian thoughts and constituted a better introduction to the complicated materials in the Classics, thus selecting these four texts from Classics and put them together as the Four Books. The Four Books is an abbreviation for ‘The Books of the Four Philosophers’ because The Analects of Confucius, The Mencius, The Doctrine of the Golden Mean and The Great Learning are respectively attributed to four great Confucian philosophers, namely Confucius, Mencius, K’ung Chi (the grandson of Confucius), Tsang Shan (a disciple of Confucius). In the Ming and Qing Dynasties the Four Books were made the core of the official curriculum for the imperial examination, which endowed them with the superior status in China.